If you’re familiar with Alveo Corporate Center in BGC, this exact spot used to be Crisp on 28th. I was kinda sad that it closed down because it was my go-to place for healthy delicious dishes when I’m in BGC. 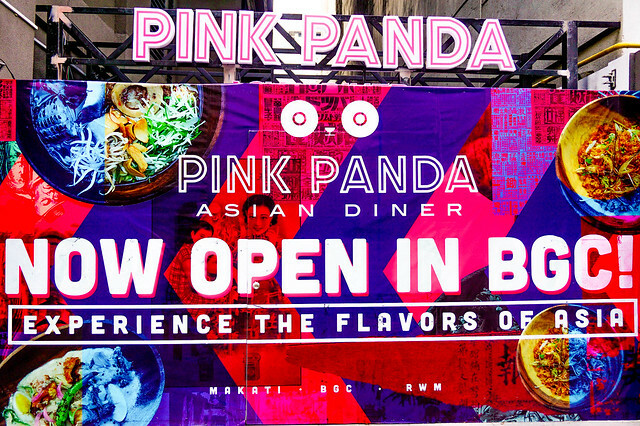 But that changed when I was told that it got turned into Pink Panda Asian Diner. This isn’t the first time I dined at Pink Panda. 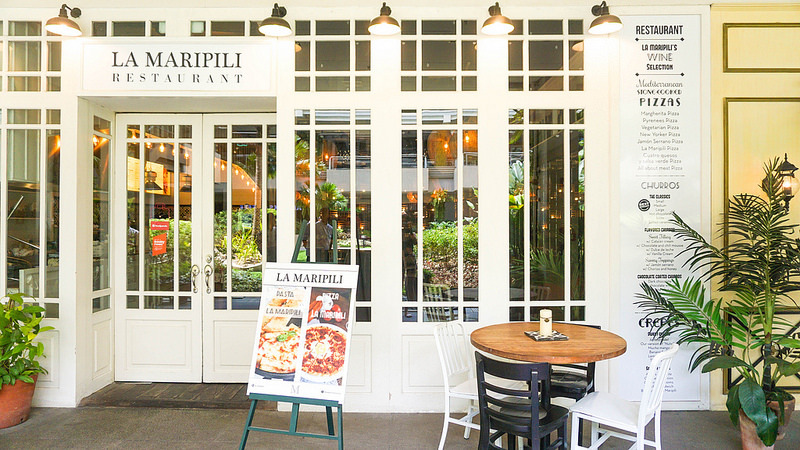 I used to go to the one in Makati and I super love how chic the interiors are. 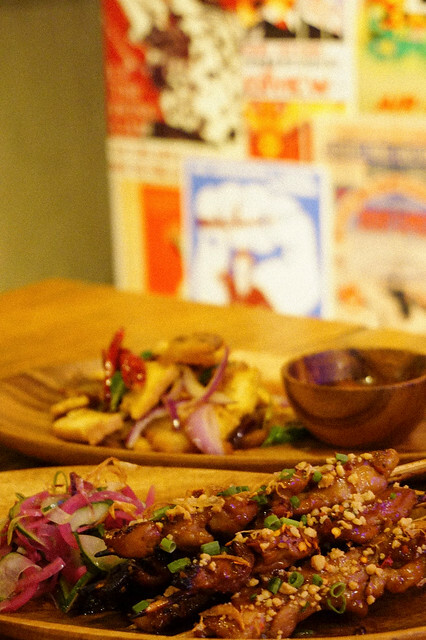 The dishes and drinks are priced reasonably as well. The menu basically offers Asian fusion dishes from the Philippines, Thailand, Vietnam, Indonesia, China, Singapore and Malaysia. 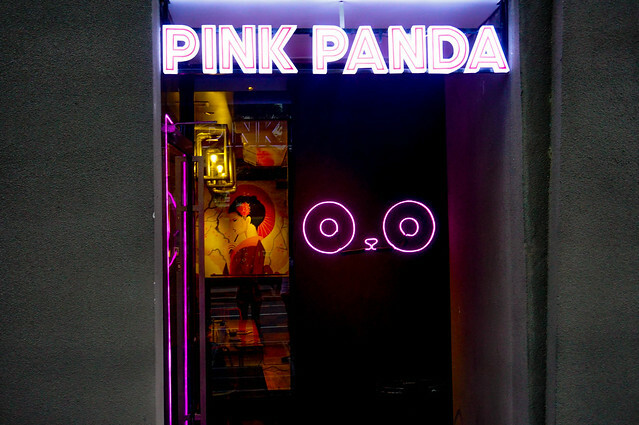 Pink Panda Asian Diner is owned by Executive Chef Peter Ayson and Managing Partner Erwan Heussaff. 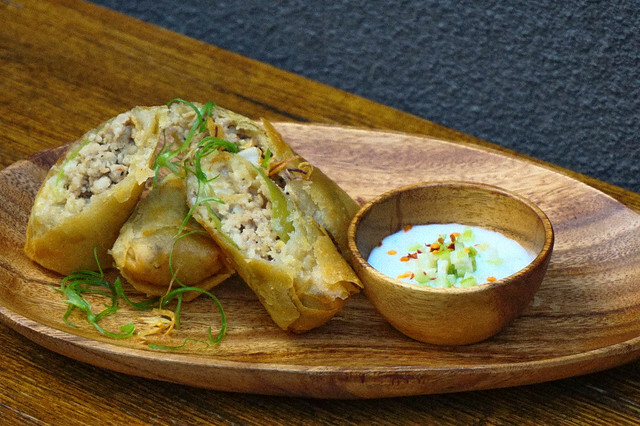 The classic Filipino appetizer made with crispy tofu and pork, spiced vinegar, chilies. Perfect for sharing. This marinated chicken in sweet soy, garlic and sprinkled with spring onions and peanuts is packed with flavors! 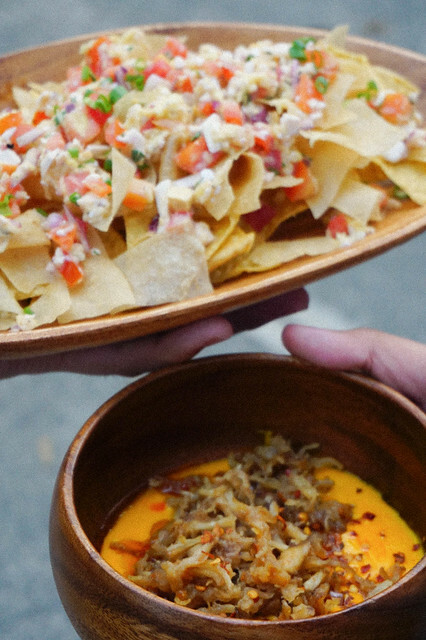 A must try here at Pink Panda is their unique take on Mexican nachos. Loaded with mangoes, tomatoes and salted egg, paired with a bowl of cheese/salted egg salsa dip and tasty adobo flakes on top. I don’t think I know anyone who doesn’t like Kare Kare. This is another must try and perfect for sharing. The meat was cooked tenderly and very soft. Everything was super fresh and tasty. Served as a sizzling dish, the sauce was still kept at its usual serving: thick and creamy. I could literally have this with a cup of rice and I’m all set! Or you can have it as an appetizer. 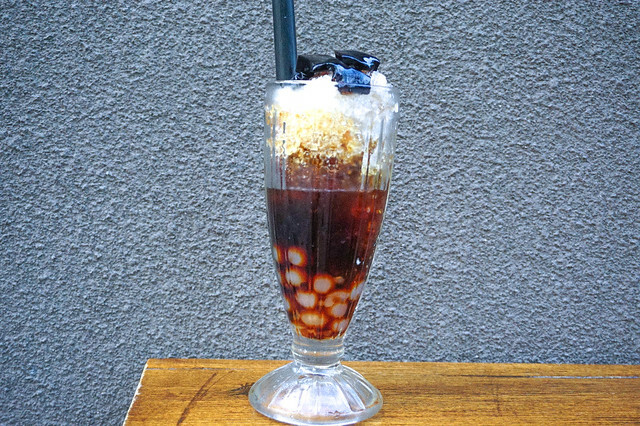 Pair your food with a glass of refreshing sago and black gulaman drink. We all shared this delicious bowl of goodness for dessert and wow, I could have this for breakfast (because of the cereal on it). 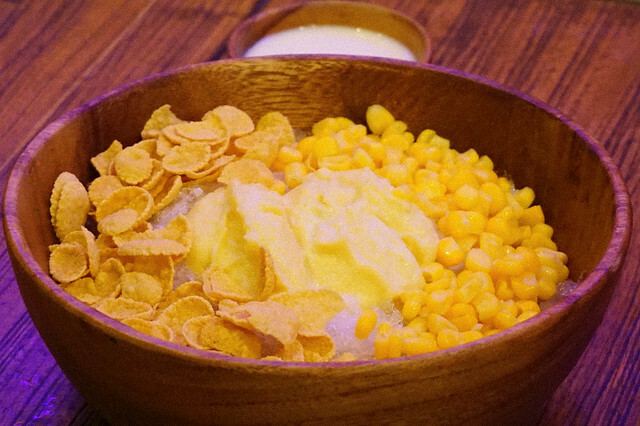 This isn’t your usual Mais con Leche because it has custard filling on top and yes, cereal. 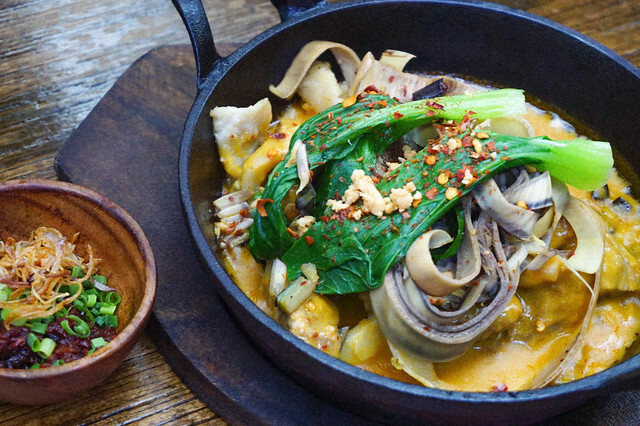 If you’re looking for a place that serves delicious Asian Fusion dishes and won’t break the bank. 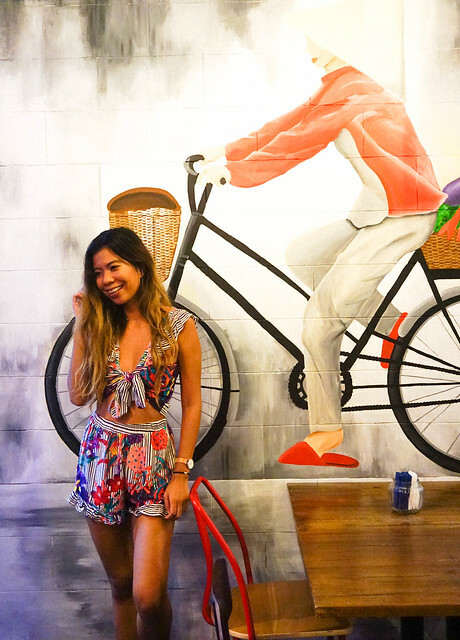 Head to Pink Panda Asian Diner in BGC. Next Next post: BelVita Breakfast Biscuit is now in the Philippines!